Kindly allow me to introduce you to one of my most favorite of TED talks which is titled: Want to be Happy? Be Grateful. 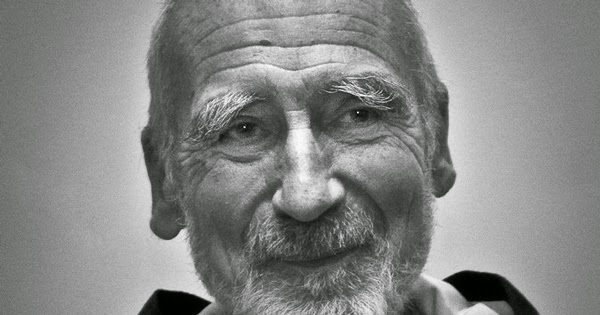 This 14 minutes long refreshing talk was given by benedictine monk and interfaith scholar Brother David Steindl-Rast, where he offers us a truly inspiring lesson in slowing down, looking where we’re going, and above all, being grateful. This talk is a beautiful testimony that help us understand why gratefulness is found at the heart of many religious and spiritual tradition, specially in Islam where the everyday prescribed prayer begins with the invocation of gratefulness epitomized in the Arabic word, "Alhamdulillah." I quote here selectively what Brother David has said in the talk (full transcript here) and you can listen it in full (and I highly recommend it) from the link given later in this post. My topic is gratefulness. How is the connection between happiness and gratefulness? Many people would say, well, that's very easy. When you are happy, you are grateful. But think again. Is it really the happy people that are grateful? We all know quite a number of people who have everything that it would take to be happy, and they are not happy, because they want something else or they want more of the same. And we all know people who have lots of misfortune, misfortune that we ourselves would not want to have, and they are deeply happy. They radiate happiness. You are surprised. Why? Because they are grateful. So it is not happiness that makes us grateful. It's gratefulness that makes us happy. If you think it's happiness that makes you grateful, think again. It's gratefulness that makes you happy. What really do we mean by gratefulness? And how does it work? We all know from experience how it goes. We experience something that's valuable to us. Something is given to us that's valuable to us. And it's really given. These two things have to come together: It has to be something valuable, and it's a real gift. You haven't bought it. You haven't earned it. You haven't traded it in. You haven't worked for it. It's just given to you. And when these two things come together, something that's really valuable to me and I realize it's freely given, then gratefulness spontaneously rises in my heart, happiness spontaneously rises in my heart. That's how gratefulness happens. And how can we live GRATEFULLY? By experiencing, by becoming aware that every moment is a given moment, as we say. It's a gift. You haven't earned it. You haven't brought it about in any way. You have no way of assuring that there will be another moment given to you, and yet, that's the most valuable thing that can ever be given to us, this moment, with all the opportunity that it contains. If we didn't have this present moment, we wouldn't have any opportunity to do anything or experience anything, and this moment is a gift. How to live Gratefully, moment by moment? How can each one of us find a method for living gratefully, not just once in a while being grateful, but moment by moment to be grateful. How can we do it? It's a very simple method. It's so simple that it's actually what we were told as children when we learned to cross the street. Stop. Look. Go. That's all. But how often do we stop? We rush through life. We don't stop. We miss the opportunity because we don't stop. We have to stop. We have to get quiet. And we have to build stop signs into our lives. You can find whatever works best for you, but you need stop signs in your life. And when you stop, then the next thing is to look. You look. You open your eyes. You open your ears. You open your nose. You open all your senses for this wonderful richness that is given to us. There is no end to it, and that is what life is all about, to enjoy, to enjoy what is given to us. And then we can also open our hearts, our hearts for the opportunities, for the opportunities also to help others, to make others happy, because nothing makes us more happy than when all of us are happy. And when we open our hearts to the opportunities, the opportunities invite us to do something, and that is the third. Stop, look, and then go, and really do something. And what we can do is whatever life offers to you in that present moment. If you're grateful, you act out of a sense of enough and not of a sense of scarcity, and you are willing to share. If you are grateful, you are enjoying the differences between people, and you are respectful to everybody, and that changes this power pyramid under which we live. A grateful world is a world of joyful people. Grateful people are joyful people, and joyful people, the more and more joyful people there are, the more and more we'll have a joyful world. Selected from full transcript. You may click the image below to watch the full talk: Want to be Happy? Be Greateful, also full transcript can be read here. You think this is just another day in your life? It's not just another day. It's the one day that is given to you today. It's given to you. It's a gift. 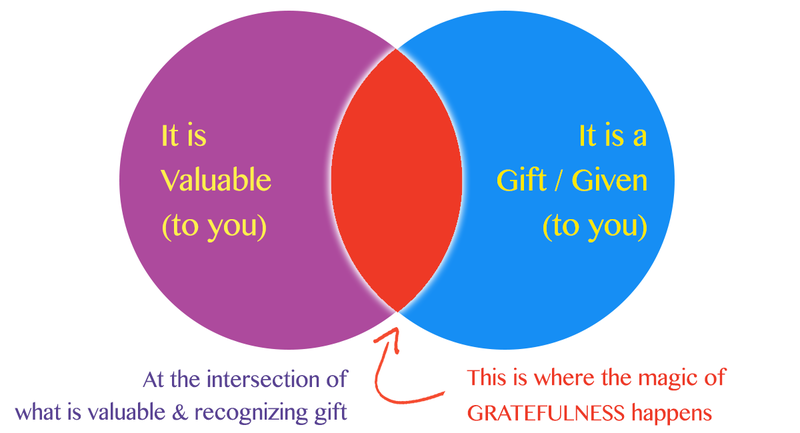 It's the only gift that you have right now, and the only appropriate response is gratefulness. If you do nothing else but to cultivate that response to the great gift that this unique day is, if you learn to respond as if it were the first day in your life and the very last day, then you will have spent this day very well. This talk led me to think about the most simplest prayer that every Muslim pray, its a prayer to aspire to be grateful. When a Muslim say Alhamdulillahir Rabbil Alamin, they essentially say, "Thank you O Lord of All that is, Gratefully I praise Thee." That is also the practice of giving back thanks and our gratefulness to the source of all gifts. If you look at the Lords prayer taught in Christianity, its also recognizing the gifts that is given to us and what is the natural response in recognizing the Giver of Gifts, is to adore, is to praise, and thats what Christ taught us also in the Lord's prayer - "Hallowed, Praised be Thy Name.." The asking for daily bread is a symbol of all gifts that sustain us. To be grateful we must find two things as brother David shared: to find valuable matter in life and to recognize that its a gift by the Giver of all gifts. Finally we may discover the truth that all that God wants is that we be happy, thats why God taught in the Final Revelation a prayer that is a prayer to be deeply grateful, over and over again so that we can discover again and again the secret of happiness. Its what makes the Divine Heart happy is to see us happy. And how we can reach our happiness? its through gratefulness. Alhamdulillah - I am Gratefully Thankful and Praise You O God for all the Gifts. In the Last Testament, to be Grateful to God is in truth a Commandment to Humanity. The Holy Qur'an goes on to teach us that every gift is essentially is from God. And finally there is this Divine Promise that when we practice gratefulness, we are given more gifts. Any unbiased reading of Prophet Muhammad's life will help anyone to come to this understanding that his entire life was infused with tremendous gratefulness. The Prophet, who was sent to perfect best examples, blessings of peace and benediction be upon him, was ever grateful to God and he was very generous in expressing that gratefulness. In truth his name Muhammad means one who praise God is due to the reality that he always praised God out of his gratitude. He, the best of creation, was the most grateful human being who ever walked upon this earth who never failed to thank the giver of gifts for any gift from God, be it small or great. He also taught others how to practice gratefulness. One day the Master of gratefulness took the hand of one of his companion Mu’aadh ibn Jabal and said: “O Mu’aadh, by Allah I love you, by Allah I love you.” Then he said, “I advise you, O Mu’aadh, do not fail to say this after every prayer: "O Allah help me to remember You, to be grateful to You and to worship You beautifully." O Allah help me to be upon Your Remembrance, Gratefulness and Beautiful Adoration of Thee. May God help us to imbibe grateful in every moment we live our life and through gratefulness may we reach the station of perpetual happiness, and may God include us among those who are grateful to Him and for every gifts He sends our way. Ameen. What is the secret of happiness? If everyone of us wants to be happy, how can we attain it? Do we become grateful if we are happy or is it gratefulness that makes us happy?